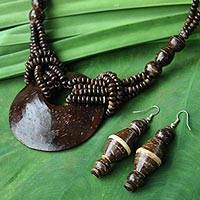 Discover a world of beautifully intricate pendants and beads in deep chocolate brown hues as you browse through NOVICA’s collection of coconut shell jewelry, all handcrafted by artisans from around the world. 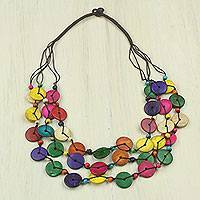 I looked at this necklace and even ordered a different style, but they were too heavy with black beads. This is delicate and the colors are perfect. 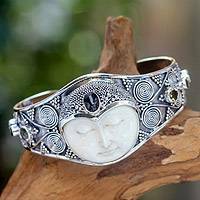 I am so happy with this lovely necklace. 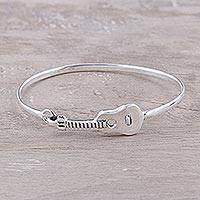 It is lightweight, a perfect length and quite beautiful. I anticipate wearing this with summer dresses. 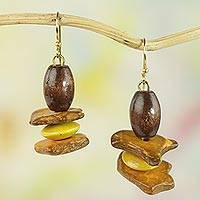 Stylish and truly unique earings! 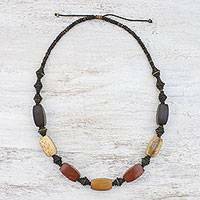 Thai Artisan Crafted Coconut Shell and Wood Bead Necklace, "Precious Nature"
Sasithon Saisuk combines coconut shell with wood beads to convey the forest's mystique. 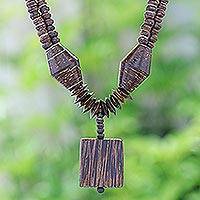 Crafted by hand, this necklace culminates in a medallion of coconut wood. 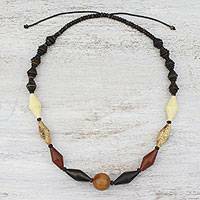 Colorful Necklace Hand Crafted of Coconut Shell Beads, "Easy Living"
Thai Beige Leather and Coconut Shell Statement Necklace, "Rustic Moon in Beige"
Men and women alike enjoy the beauty and versatility of coconut shell jewelry. 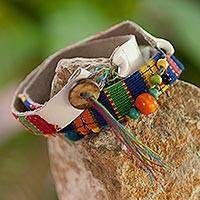 Instantly escape to a tropical island when you slip a few beaded bracelets around your wrist, or gift them to someone who could use a little piece of paradise in their life. 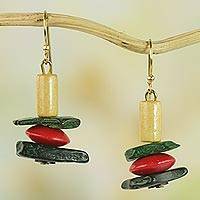 Regardless of the recipient, coconut jewelry makes the perfect accessory for any casual occasion.